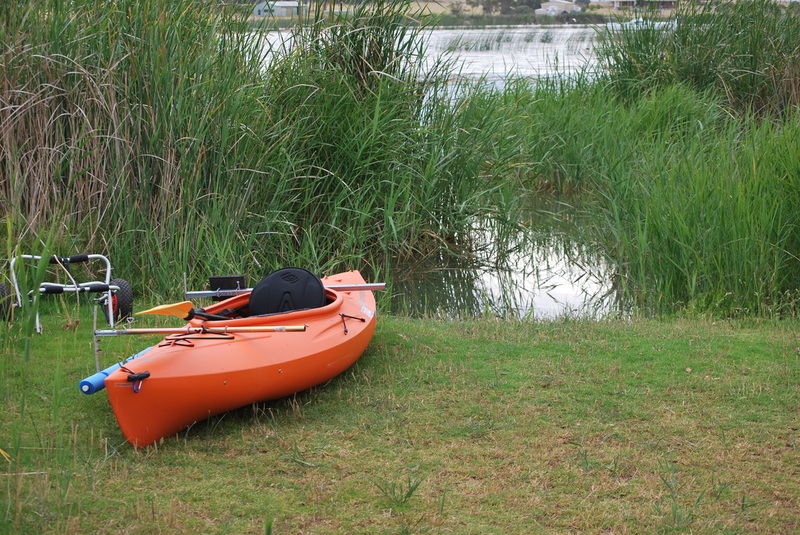 What could be more enjoyable than sliding the kayak down a green grassy bank into the water, galahs and corellas circling above in a clear blue sky and a vast lake lying ahead, ready to be explored? This is the scene at Clayton Bay, just 90 minutes from the Adelaide CBD on the shores of Lake Alexandrina, gateway to the Coorong. We camped for a night at the Clayton Bay Caravan Park and were fortunate to get two adjoining sites right on the waterfront – though none of the range of powered and unpowered sites and on-site vans and cabins are more than a stone’s throw from the shore. The powered sites and vans are quite close together so there’s little privacy but this is a family-oriented park and there were loads of kids all playing together in a very communal atmosphere. It’s also dog-friendly, so long as they are kept under control and walked on a leash. We didn’t see any problems arising from this while we were there and it seemed to work well. The powered sites and vans are well shaded, but our unpowered site a short distance away had no shade at all – so something to ask about when booking. Clayton Bay could be described as an old-world caravan park; the owners describe it as ‘a quiet little place to relax and enjoy’ and it’s a description that fits. Nothing flash here, just a range of sites and a well-maintained and spotless ablution block. The only thing you can buy at this Park are cool drinks for $1/can from a machine. Clayton Bay itself has no shop, pub or petrol station, so be sure to stock up at Milang (10 minutes away) on your way through from Adelaide. But while the Park’s amenities in terms of ‘improvements’ are limited, it more than makes up for it through its location and the friendliness of Kevin, the grey-bearded host and manager. We went on a normal weekend, not a special holiday or anything, and the Park was almost full to capacity, so bookings are essential. As we were only there for one night we really didn’t want to be packed up and out by the 10am departure time, but Kevin was very relaxed about that and we left just after lunch. A nice touch, but be fair and ask him rather than assume it’s OK. The place is a haven for canoes/kayaks and the Clayton Bay Boat Club, almost next door, is evidence of a strong trailer-sailor community. The public boat ramp is only a hundred metres or so further along the shore. This part of the Lake has extensive growths of reeds and bulrushes along the shoreline, but there are plenty of spots where these are clear and it’s very easy to launch craft. There’s also a boardwalk through the reeds and a 3km scenic walk around the shore and back through the township. Bird life teems! I’m no expert but I’d swear the huge swarms of galahs and little corellas were staging a pitched battle for top spots in the gums. But maybe it’s just a show they put on for tourists! 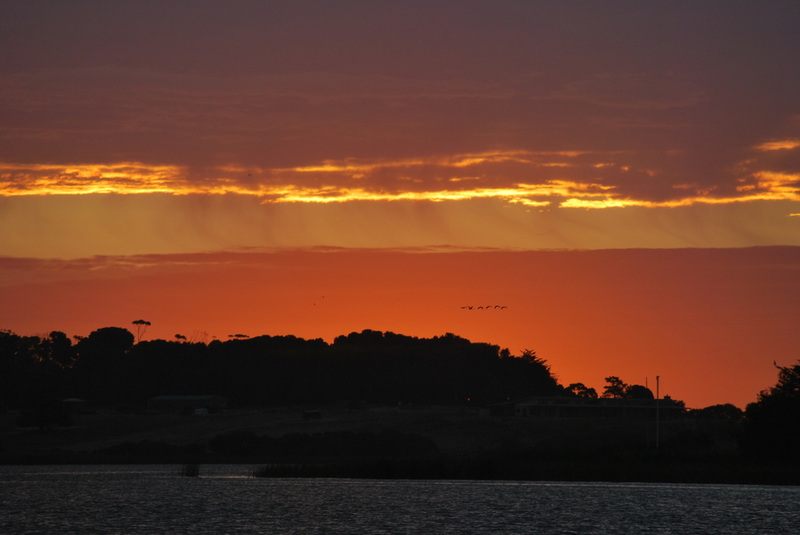 There are also many breeds of water birds – including of course the Coorong’s famous pelicans. 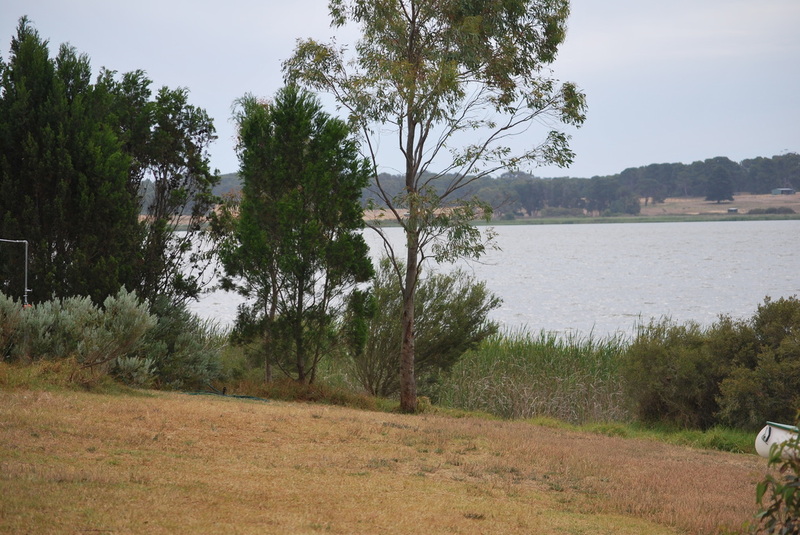 If you’re looking for a quiet spot by the water with nothing more elaborate than a clean loo and shower, Clayton Bay Caravan Park is well worth a look. But one word of warning – don’t forget the Aeroguard! 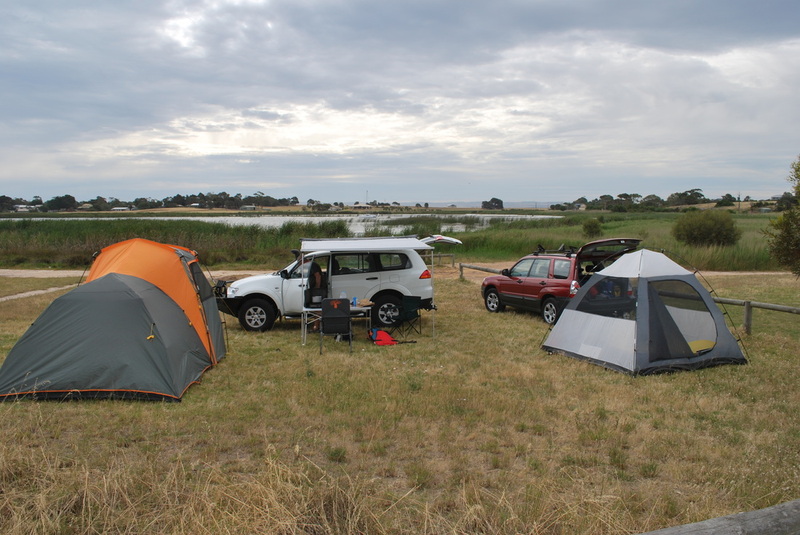 Clayton Bay was kindly reviewed for Go Camping Australia by guest writer, Stephen Marlow. Thank you very much for sharing your experiences and thoughts on this location.